the collection of Mr. Michel BRISSARD has been housed in the town building originally built by American engineers. The D.DAY OMAHA museum, located on the hills above Omaha Beach between the American cemetery and the Pointe du Hoc, features numerous outstanding items and material used during the Normandy landing. Upon your arrival outside the museum, you’ll be able to admire the LCVP “Higgins Boat” barges (unique at OMAHA Beach sector), an armored turret and a collection of rare objects dating from the Second World War such as the Goliath tank, the paratrooper-motorbike or the Enigma encoder. 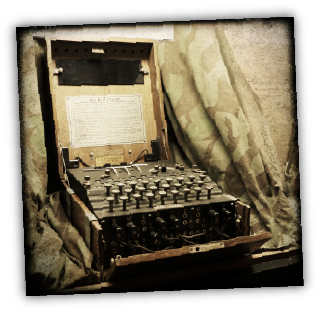 A slide-show on Vierville-sur-Mer (DOG GREEN sector) and several display windows present a selection of items used by German and Allied forces whose technology can still be found in our current daily life. 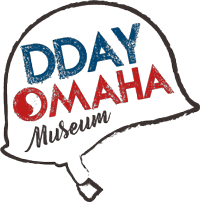 The D-DAY OMAHA museum is dedicated to the memory of the soldiers falled at OMAHA.